Greetings this is Lord Sananda speaking, Welcome to the Cosmic Oneness once again. We are in a quiet mode this evening. We’re not going to be bringing forth a lot of intense activations. We’re going to assist you in Internalizing and Embracing what you’ve already been receiving. I know each of you are going through different levels of challenges within your pathway as you are accumulating more frequency within your body, you’re allowing the Essence of your Being to be fully actualized. We are coming upon the New Moon, and we want everyone to fully allow that Essence to be within you to prepare you for what you would like to create even more so. The Summer Solstice this year is an Activation of Frequency within the Being of your Continuance of your Light within these bodies. We have talked about the Remembrances, we have talked about the levels of challenges, we have talked about everything. We also need to share with you that now that you are at the top of the mountain, it is time for you to fully actualize the challenges that you have been bringing forth within your life, and to go deeper with them. Please know that this is not the end of the mountains. Some may think that we are at the top of the mountain and this it, and we have acquired everything that we desired. This is not true for any of us, not matter what level of initiation that you are acquiring or walking upon. We are continually climbing the mountains, one after the other. Do they get easier? Yes, they do get easier sometimes the challenges are quite different. Some of your challenges may be more in a leadership role, some of you may still be incorporating levels of Light and Love within you to help you to realize that you are this fully Incorporated Being of Light. Some of you may have a challenge with that. It’s a time to embrace it all. So as we bring forth these Energies tonight, let your Self Expand within them. Let yourself Accept the Aspect of yourself, that you haven’t before, because it hasn’t been able to Incorporate within you. As we go through these Activations, and these Initiations, whether they are Planetary or Individual or whether doing these calls or other work that you are doing, it’s going to catapult you into a New Space of Being. So there is a Spark within you that you haven’t fully actualized. Within that Spark allow it to Grow within your Heart, Allow it to Expand within all parts of you to bring forth the Essence of your Completeness. The Completeness is to Accept your Totality of the Light that you are, the Spark, the Divine Source from the beginning, allow it to Grow within these physical bodies. Please know that you cannot Incorporate all that you are from, that Energy, in that Space and in that Time. It is just not a possibility, in the physical existence that you are living upon. As we move more into that 5th dimensional frequency, you will understand exactly how that it is being done. So let’s take a moment. Within that moment, let’s reflect at how far you have come. Each of you are Embracing yourself in many different levels than you ever have before. It’s going to continue, and to continue, and to continue. Allow the Essence that you are bringing forth in this moment to be a new Spark of your Creation, as we move into a New Level of Love. This is what we want to share with you this evening. Breathe, Breathe Deeply! Within that breath, let’s center upon your Heart and the Thymus. Dearest Meleriessee opened up your Heart and Thymus to allow your Higher Self to be activated. We allow that Activation to come forth now, more fully. Feel the Sparks of Light coming to you. These Sparks of Light are the Essence of your Being, the Essence of your Soul, and the Essence of your Continual Frequency of Light of the Cell that you are part of from the very beginning of time. This is a Beautiful Essence. This is an Essence of a Sparkly, Platinum, Silvery Star and within that Essence it has the Elements of many Colors. If you squint your eyes, you’ll see many Colors filtering in there, those Sparkles of Light are coming fully from the Cosmic Level into your Heart and your Thymus and your Solar plexus. Now we Activate the 5th dimensional chakra grid. Allow that 5th dimensional chakra grid to be totally open. We want it to be fully active. Allow these three elements between the Solar plexus, and the Heart, and the Thymus to be the Star that you are. Feel that Vibration within you. Feel the LOVE that is really you. This is the basis of Coming into Total Completeness. Allow yourself to feel it on the physical level. Breathe deeply. Allow that Spark of the Divine Essence to shine through your entire Being. Now let those Sparkles of Light go into those places that feel not aligned with your Spark of Light, maybe it’s in your physical body, in the muscles or the joints, in the spinal column, any organs. Maybe it’s in your Solar Plexus: that Emotional center; maybe it’s in your Throat, maybe it’s in your Third eye. Allow the Sparkles of Light to all blend within each other, as now you are Shimmering. Your Light Body is Sparkling, as the Star that You Are. Feel that. Tonight what is happening with these Sparklets of Light, as that you are remembering yourself in a Higher Frequency than you were previously. We’re going to go up an octave, so that you can feel the Beauty that you Incorporated within yourself on a continually basis without the body. Feel the Freedom, Feel the Joy, Feel the Camaraderie with others, and the Expression of your Light flowing through you. There are no lower emotions to have to deal with, there are only higher emotions coming through. Feel that Essence, feel that Essence within you. Breathe through all those Sparkles of Light. Now you are ready to receive the Activation, the Attunement, but truly the LOVE Essence with the Divine Mother and Divine Father God. I think you are going to enjoy it immensely. We are the Divine Mother and the Divine Father God of the Cosmic Great Central Sun of the I AM Presence within your being in this moment. The Essence that you are receiving in the Sparkles of Light is the Essence of your Beingness, they are yours to hold and behold within your Heart. Breathe deeply through those Elements. Breathe deeply as you Express yourself. Allow this Essence of Continual Frequency to be Remembrance of the LOVE that you are! Breathe as the old debris is now leaving you and as the Sparkles of Light filter into all aspects. They filter into your Emotional, your Physical, your Mental, and your Spiritual. It Cleanses you and Purifies you, and Creates the LOVE in a different frequency than you were before. Allow that Expression to be fully within you as it never has before. Feel it as a warmth in your Throat, in your Heart, in your Back. Feel it blending into your middle part of your body, let it go into your Solar Plexus. Allow yourself to feel the Empowerment that is you. Allow it to go into your lower energies and allow it to take the Pure Essence of LOVE and change everything into LOVE! No matter what is there, allow this Activation to assist you in the Purity of the Heart that you are. Allow the next Activation of your Remembrance to be activated. We open up the Pineal Gland. We open up that Third Eye to allow this Expansion to come into you. You may see it ~ You may hear it ~ You may feel the vibration that is a Higher Intensity. Allow that to be within you. Allow the aspect of all that is to be part of all that you are. Breathe through that frequency within you. Breathe through the Essence that you are, the Essence Expansion you are. Now see the Colors that you embodied within your Soul and your Monad. These are your Ray Aspects of these Levels. It may be a mixture of several Colors. Allow that Frequency to come within you. It may be Blue, or Pink, or Gold, Yellow, Crystalline, maybe Sparkles of Green and Orange and Gold. Allow those Colors of the Violet, whatever it is you are bringing within you now. Maybe it is the Golden Colors, maybe it is the Seafoam, the Blue-Green, the Pearlescent, the Violet, the Lavendars, or the Indigos. Breathe it all in, it is your Special Attunement. Allow yourself to Incorporate it! Allow yourself to be in this space to fully Actualize your light. It is your Destiny! Hold out the palms of your hands and allow the Chakras in your hands to Vibrate with these Frequencies. Allow it to be in the Balls of your Feet. Allow yourself to Spin the Soul Star and the Earth Star at the same time so all the Frequencies are coming together. You see the Soul Star and the Earth Star Spinning clockwise manner it comes in a Diamond shape. The Diamond shape is reflecting all of these Beautiful Colors of the Light that you are. Breathe it through your Being. The Light Formations are coming within you. Allow yourself to be in a State of Remembrance. Allow yourself to fully accept these Beautiful Light Formations that are you! You are the Star that you are! You are the star that you are! Now as you bring that Essence fully within you, allow yourself to have Remembrances. It comes from the Heart, it does not come from the Mind. 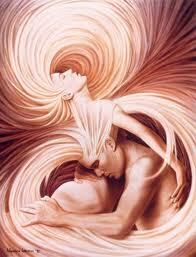 Allow the Male and the Female, the God and the Goddess, and the Yin and the Yang to be fully in Balance in this moment. As you breathe deeply there is an Essence of LOVE and the Light coming to you that you have been asking for. Allow it to come. Do not put any definition on what it is. Just allow the non-form to come and let it to be formed within you. Now the crystal bowl will be played, allow that Frequency to come and allow a Remembrance to come to you. It may be a thought, it may be a person, it may be an aspect, it may be a pathway that is about to be opened up for you. Whatever it is, just flow with it. Don’t allow the mind to control. We want you to be Deep within your Heart, Deep in that Essence of that Spark that you are! Feel at the base of the Spark which starts at the Heart and then it filters out in your beautiful Light, you are One Essence of a beautiful fireworks display! Embrace the Light as it comes through you! Now take that Vibration and bring it all the way down to your feet to your Earth Star. Ground this Frequency, ground this Energy, ground the Emotion. Whatever it is your feeling, allow yourself to Embrace it! Your Spark of your Divinity is a piece of the puzzle, there’s more coming for you. Embrace this moment of Creation. Embrace the Essence that You Are, it is the Spark of your Light. It is the Spark of your Love, embrace it now. Embrace it fully! Feel the Beautiful Frequency that You Are. Allow it to Incorporate in the body. Allow the body to relax into it and Accept it and Be it. Now receive, just allow yourself to be in the receiving mode, we want you to sit with this energy. Just let it flow through you. There will be memories that will come, it may be just one memory, but it will be an Actualization. Have your pen and paper ready because it may come through in a moments notice. It may come through in a dream state, it may come through in your meditation, or it may come through as your going about your day. Allow it to Fully Activate Within You! It is our desire for you to fully Acquire this Light, fully within your Being of Light. We are the Divine Mother and the Divine Father God in this Frequency of Balance ~ in this Frequency of light, but most of all the Frequency of LOVE. Allow yourself to fully actualize this. Allow yourself to say it is your Completeness coming into your Being. It is now time to allow yourself to Accept All. 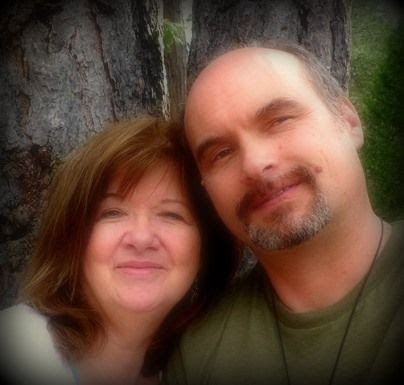 It is our honor in this moment to give you this Special Attunement in the LOVE. It is a in a Frequency that is softer than we have given it before; it is also just as powerful as we have shared with you previously. Allow this Frequency to be your Guide. As you breathe deeply through it, the breath is what is going to assist you. Not the thoughts, although the Remembrances will come, allow them to come in Visions or Feelings, and not so much as thoughts. Allow that to be your Guide. It is our Blessing to be with you in these moments, as we all come together in the Source of Creation of All that is. Adonai ‘Tzebayoth, We Are One! This is Lord Sananda, once again. Just allow this Frequency to be Embraced through you, as has been shared. Don’t try to question. Don’t try to think. Allow the thoughts to all be put aside. It is time for each of us to Embrace the Light that we are. This is going to be a very beautiful week for each of you, as you bring this Totality of LOVE within your Being. There may be emotions, allow them to come. Know that they are not Emotions of sadness, but they are Emotions of Joyfulness of Fully Activated the Light that you are, and getting closer, and closer every moment we are together. This is Lord Sananda speaking; I come to you in this moment, with Great Pleasure. Thank you, once again, for coming together for this call, this creation of the Christ Consciousness, and the Essence of the Divine Mother and the Divine Father God are bringing forth the frequencies to assist, and allowing you to fully integrate your I AM Presence. This evening, is more of a, not quite sure what word to use, it’s not Grounding or Balancing, it is all of those. Its bringing in your essence in a different capability than you have acquired previously. We are very proud of each of you, and what you are acquiring, and what you are bringing through; your Integration, and the Powers and Energies that are happening for you on so many different levels of frequency. As we bring forth these levels of Integration of a Remembrance, this evening we want each of you to Embrace, Accept, Acknowledge, and Introduce a New part of yourself that you haven’t quite Actualized previously. You have felt it, the Sparks of Light that have been brought forth into your Being, the Essence of the Continuity that you are going through. This evening we are preparing you for the Solistice this week, and yes, we have been preparing you for all of these Elements as we have been doing this call for several weeks, weeks upon weeks. Tonight is an Actualization, it is a Movement of ‘Yes! I have finally made it!’. This is what we want to bring forth for you to prepare you for the solstice. Not all of you are going to feel it in the same manner, but to bring forth these Frequencies in your Entire Being, in these moments, is an accomplishment beyond any thought process that you may be having. We are honored that you are walking this path, because as you are bringing forth these frequencies into your own being to assist the divinity to be created upon this earth. As we see each of you acquiring the Light Within, you to allow the Essence of your Being to be fully actualized in human form. As this actualization starts occurring, you start to realize that you are becoming multi-dimensional. Within those muli-dimensional facets, you are being able to see the different levels of existence. I am sure each of you are going through these different processes; as you go through the processes you start to see an accumulation of layers of increasing the light within you. With each week and with each meditation you do, you see a difference happening within you. Within those the differences of each of those times that you bring that energy forth, your also seeing elements coming up that surprise you. The core of healing is a continuation of allowing those frequencies to assist you in the totality of your Beingness. You must understand that doing this in human form, is something that has never been acquired before to the availability that will be coming to each of you. What you do with it, is your own personal choice, and each of you will acquire it in a different way. You may get to a certain level and decide that you’re not quite ready to get to the Higher Levels yet, and that is just fine! Because, what we are are assisting you, our main goal, is that 5th dimensional body. Within that 5th dimensional body we want you to acquire that light frequency, to hold that fully physically. This is our Divine goal for each of you to acquire this. As you acquire this, then the frequency upon the Earth is going to get more intensified as Gaia works with you within this process. As this process occurs, you will see a change in your life. Avenues will open up to you that were not there before. There will be synchronistic events that are occurring and some of you may choose to go even further with the frequencies. As the Earth changes into that 5th dimensional level of intensity, of Dimensional Activation, the Possibilities are Limitless. What you do with it within your own body, will definitely assist you into aspiring to the Highest Levels. You will find that as you move into these higher levels, you will not be able to live in certain environmental conditions. Doorways will open up to you to relocate. When those doorways open up, it is time for you to walk through those doorways. Do not hesitate when you see synchronistic events occurring for you that are wide and beyond the scope of your comprehension. What I want to relate to you, is that the Solstice is very important for each of you, and each of you are on different frequencies to bring that into your body, but the potential is there. This is only the beginning, so if you find that you are feeling the desire to make certain changes in your life, but the fear is stopping you from doing so, BE CAREFUL, because the doorways may close if you do not do it. DO NOT ALLOW the fear to stop you, but move through that fear. You can still feel the fear, which you probably will in the process, but the power of your strength is so great, that the fear will dissipate. There may be anxiety, and uncertainty about what the next step is, but the whole process is to LET GO of the human conditioning that’s been fully within your focus of the physical existence. There is no element that we can base this on. You are the ones that are creating this Foundation for others. During this time, you will see that you are creating ways to teach others in ways to do this. So we give to you these energies, through Dearest Meleriessee to assist with this process, making it easier for you. Tonight, we are embodying within you, is the Essence to Accept what you’ve been going through. It is now time to LET GO of the anxiety, and any lower energies that make you feel uncertain. The process that you have been going through in the last couple of weeks has been extreme. The most important facet is knowing what you need to do in each moment. Feel the Essence that is all around you that is your Highest Self, of your I AM presence, guiding you into the Next Wave of Frequency. Allow yourself to move through these doorways. Once you move through these doorways, than you can Fully Acknowledge yourself in a New Existence. So I Embrace with you the Power Within You of Mastership, of finally Acquiring a status upon the initiation phase, that allows you to take a deep breath, and say “WOW, I’m arriving, I may not be quite there yet, the Pathway is continuing”. Each of us that are aspiring to the Mastership Level in their Awakening State is going to acknowledge themselves in a completely different manner than they have ever before. This is the Beauty of Everything! This evening is an Actualization, allowing the frequencies you have been embodying previously to be fully activated within you. Then when you bring in those activations, you will see within you the Accessibility of the Circumference of your Pathway around you. That will fully be acknowledge in the frequency within. Let’s all take a deep breath, and in that deep breath, just allow ourselves to embody these frequencies. You’ve been embodying them, you’ve been recharging yourself, and you probably have been going through periods of uncertainty, your unsure of what is happening to you. You may have periods of feeling you are not fully in your body, because the body is changing to those other levels. You may have periods of activity and then non-activity, periods of sadness. The sadness occurs because you are bringing in a frequency that is quite different and within that releasement needs to happen of the old. There is a process of the excitability of the newness that is coming in , and there is the process of grief that needs to occur within you. It may not be anything specific, sometimes you may not be able to pinpoint the energy or where that is coming from, and that is okay. Just flow with it, and allow this fluidness to flow throughout your body. As we breathe deeply, allow that Thymus area to be fully opened. Within the Heart, concentrate on the Crystalline Light, allowing you to embody the peacefulness that is necessary to occur. Breathe deeply as it comes down into your Crown, and blends in a clockwise manner into your chakra column, hitting the Third Eye, moving down into the Throat, the Thymus, the Heart, the Solar Plexus, the Sacral, and the Root. Allow it to flow through you, allow it go down your limbs, into your feet and allow it to flow into your Earth Star. Allow your Earth Star and Soul Star to cycle together in a clockwise motion with the Crystalline Light. There is a Spinning Funnel of Energy that is going through your whole body now. Feel the Balance as we bring in the Crystalline Light, as we bring in the Balance of the Harmony. Allow those Crystalline Colors to blend with All Colors, and Speckles of Light in the Frequency. Now you are ready to receive and embrace the part of you that you’ve been working with. It is my Divine Pleasure to be here with you in this moment, I AM Lord Sananda, at your service. We embrace you in this moment, with this frequency of light, to assist you in the Essence that you already are embodying. We want to open up the channels so you may receive it deeper. Allow these frequencies to run through you. As now your Central Canal is fully open, allow the light that you are to be fully embraced within you. As you feel the Essence of your Soul’s presence in your Thymus, and your Heart, allow him/her to blend deeper than you have ever before, allow it to go deeper into your lower body, allow self to feel the Essence of your chakras spinning wheels together, spinning essences of frequency. Allow the colors of the rainbows to be fully within all of the chakras of the Reds, the Greens, the Blues, the Yellows, the Lavenders, the Goldens, the Platinum’s, the Pearlescent, the Silvers, and the multi-colors, and colors within colors. As all your chakras blend together, let us allow the integration of all 50 chakras to be activated within you in this moment. Allow your light body to be within your physical body, feel the tingling sensation, feel the frequency that you are, feel this essence fully being embodied. Allow yourself to embrace the Essence that you are!! Allow this frequency of light, it is you, it represents what you are, and the highest sense of your embodiment. Feel NOW in your Solar Plexus, let Strength come down deep inside your self, allow your self to embrace the love that you are, fully accept the deepness of your soul. Allow that essence to blend with who you are NOW in the physical! Let us think about the cellular level, and any physical problems or ailments that you may have: Is it in the joints? Is it in the muscle? Is it in the intestinal tract? Is it in any of the organs? Is it in the fluidness? Is it in your spinal column? Is it in any areas that feel uncomfortable? Allow your soul’s essence to bring in the Essence of your Healing that is necessary, have this frequency as you bring this in! Allow the divinity that you are fully embraced within you! Allow yourself to see those doorways! Allow yourself to see the pathway in front of you of the Illumination moving outside of you! The circumference is becoming wider and wider, and it goes out beyond miles and miles of energy. This fluidness that is walking, feel yourself walking down the pathway of the Crystalline Light with Platinums, Silvers, Pearlescent, and Golden Flames coming around you. Feel the Essence of the Beauty that is part of your Soul’s Essence to be in your physical life. See it wrapping it around you, allow yourself to see a circular motion at the top of your crown, allow it to go outside of your body, so you’re in the Midst of the Spiralling Energies! As you are doing that, you start to feel the essence of your continuity of life in a different form and a different manner than you ever have before. As we come upon the Solstice this week, allow yourself to see you at the top of the mountain, allow yourself to see the beaming of the sun and the wind around you, feel the warmth and feel the coldness, feel the Essence of Elements around you as you come out life desire it to be! There is no other way, it is as it shall BE! Feel that essence within you as you bring forth the remembrance of your Soul’s Essence and the Purity of your Light! Breathe it down into your Heart! Breathe it down into your Solar Plexus! Breathe it deep into those Lower Chakra, allow it to Expand! Allow it to go into your limbs, your knees the flexibility! Allow your ankles to support you! Allow your feet to walk forward to your Destiny of Light that you are! See it now, See it now coming to you! See what you desire, you are now in the space, in the frequency allowing you to accept these energies in a different manner than you ever have before! Breathe that in! Breathe in! Feel your commands of your life, being accepted within your Being fully integrates the I AM presence. Feel the Essence of your I AM of the connection of your Soul Family being activated within your body. As you are not just you, you are many, you are One! As we come together as one family of light, now you work for yourself, but you work for the many, and you feel the frequency that is necessary for you to do the work. Your worries have been dissipated, there are no lower frequencies. You are living in that 5th dimensional body and feel that Frequency come through you as you accept the Divinity of your Light, as you accept the Divinity of your Essence, to bring that fully into your being! We are ONE in this moment ~ WE ARE ONE in this moment! We bring forth the frequency to you, to ACCEPT! ACCEPT! See the desire that you need help you to get to the Mountain! See that frequency come through to you in that moment! See your Being embodied of the Light that you are! Breathe it in, it is yours to accept! Breathe it deeply within you! Allow yourself to breathe deeply, as you breathe deeply into your diaphragm, you feel your Solar Plexus vibrating with the frequency that you are! Allow yourself to Embrace the Light! Allow your Divinity to be your Acceptance and your desire of all that is in the moment of this Frequency of Light! Breathe! Breathe and Accept! Breathe and Accept your light, your light, your light and the divinity that you are! WE Are the Divine Mother and the Divine Father God . We are here to embrace you with this acceptance within your being. Allow yourself to feel as you have been brought forth a beam of energy that you have been trying to accept, and NOW it is YOURS!!!!!! It is Yours! It is Yours! It is Yours to Embrace! Embrace it in this moment! 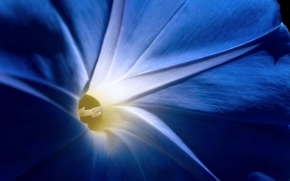 Feel it all around you, it is within you, it is around you, it is in your Lightbody. Allow yourself to acknowledge the light that you are as you bring forth these frequencies within you. We are One! We are One! We are One in this moment of Light! We are the Divine Mother and the Divine Father God of the Great Cosmic Central Sun are in honor in this moment to bring forth this! You brought it to yourself! We are allowing the actualization of it to be! Feel it deep in your core! Go deep in your Root! Feel it as you are able to walk the Mountain! See the debris leaving you, it is all behind you! You no longer have to worry, the only thing you have to do is to aspire to the Light! See the people who are coming with you! See the friends, see the loved ones, see the soul connections you have been striving towards! See the Frequency of All Energies coming together as one with the Galactics, and the Spiritual Hierarchy, and the Inner Earth people as we all come together in the Oneness that We Are! Breathe in this Light! Breathe in this Essence! As We Are The Oneness Together! We are the Divine Mother and the Divine Father God of the Cosmic Great Central Sun! We are fully within each of you in this moment as we bring forth this element of your acceptance. Be at peace with what is about to occur for you. There are many activations within activations with what we have just given to you. Allow your wishes, your commands to be very forthright and strong, as you shall receive exactly what you are intending to receive. So be strong! Be Strong with your thoughts! Be Strong with your Emotions! Be Strong with your Elements occurring within your being! Allow yourself to be cleansed by the waters of purity in the morning and the night to assist you in this process! This is a very powerful week for each and every one of you. Take time to connect to the Essence of your Being, for the newness that is about to be born. We are one, more than we ever have been in any human condition before! The humanity is shifting into the Light Frequency! There shall be events upon events that shall occur within your life, personally and globally, that will assist you in the preparations that each of you are making. Allow these frequencies to around you, and ground into your Earth Star. It is yours, it is your Divinity! All you need to do is Embrace it! As the human condition is shifting, into the purest light form possible! I AM the Cosmic Great Central Sun ~ I AM the Divine Mother and Divine Father God at your service. Blessing my dear children! Blessings in the light that you are! Blessings in the light that you are incorporating, as WE ARE ONE in this moment forevermore! Allow the frequency that has been brought through to Dearest Meleriessee, to share into your Hearts, into your Minds, into the expressions that you are, to be fully embraced within you. Allow yourself to be all that you desire to be! As we all walk together in Oneness, I AM Lord Sananda. This is Lord Sananda at your service. I give you blessings and in honor of this moment coming together once again. This is a month that you will remember. This is a month that you will fully be able to activate your essence more fully within the physical body. Know that what you are experiencing is due to the reality of what you are releasing or needs to be embraced. So tonight we are actually going to help with that frequency which is similar to the call last week when I was honored for individuals to come to the City of Shalahah. I am going to continue those energies this evening to help you with those frequencies of the essences we imparted. It was a beautiful evening, and tonight we will make an extension of that frequency. We are going to connect with the energies of the fourth dimensional chakra grid. Within that chakra grid of the Solar Plexus is the 11th chakra which is the Pink-Orange frequency. It allows one to activate their Higher Self more fully within the physical level. So we want to assist you with that essence. When you bring in the Pink-Orange, you should feel waves of energy. So I want each of you now to center yourself with the breath into that Solar Plexus. First let’s feel the frequency of the Ruby Red in the 3rd dimension so we fully activate that energy within the chakra with this ray. Let us ask for the Ruby Red or a Deep Cherry Red and we bring that energy in a spiral force in front of us like a funnel of light. This is your Devotion; the connection to the Divine. Allow that to focus within you right now. Feel that essence fully being within you. This is your own devotion to yourself, your spiritual pathway. Allow that to filter through all of your chakras. Feel it spinning upwards and downwards ~ a soft deep Cherry Red. Now we are going to bring in the Pink Orange and feel it like a floating color just coming towards you. This is going to embrace you and allow yourself to release at the same time. It is going to bring in the acceleration and within that phase it is going to remove anything that is holding you back. Let’s connect with the energy as you feel the waves coming in and going out ~ waves coming in and going out. I am going to work with the crystal bowl as we are doing the energy of waves. Feel yourself as if you are in the ocean and the Goddess of the Sea as you dive into the waves and float backwards with the wave. So as you go toward the wave it is bringing in the energy and as it goes out to sea, it releases the frequency you no longer need as you have raised your vibration with the waves. Think of the Pink and the Orange mixed together. Let’s do that now. Let it flow in and let it flow out. Allow that frequency now to go through your whole body. Let it be in your Physical body; allow it to go to any areas of your physical existence that needs that healing and needs to release the psychological reasons why you hold on and allow this frequency of this fourth dimensional grid to just embrace you. Allow yourself to be embraced; breathe through it as it comes in and goes out ~ comes in and goes out. Feel yourself as one huge being of Pink-Orange light. It is a beautiful existence that you are embracing in this moment and feel the purity that is occurring within you as you allow this vibration to clear and process. Feel the energy in your Heart and your Thymus as now it is all being opened up. Your Higher Self is now fully activated within your physical and you embrace this purity ~ you embrace this love ~ you embrace this acceptance that you are. Deep preparations ~! Deep preparations. Now we take another breath as we allow the Solar Plexus to blend with the Heart and the Thymus. Now we ask for the Magenta of Bright Pink to come in as it is a mixture of the Ruby Red and the Pink Orange. We are now elevating ourselves to this 5th dimensional activity within the physical body. It turns into the Magenta and feel it flowing through you. Now we allow the continuation of your I Am Presence to be more fully activated within the physical. Allow yourself to see your pathway in front of you as it is being illuminated with the purest light you have ever seen. This is your ability now to have that focus that is necessary for you to move through the elements. Breathe into that deeply as you express yourself more fully than you ever have before. This is the expression of your light. I give to you this energy this evening with the Christ Consciousness. Each of you are coming into a turning point this month which is the ability to fully facilitate yourself on the highest essence that you can correlate and not just on a consciousness level. We want you to feel it physically. As you go through the physical challenges, allow yourself to just accept the Divinity that you are and not allow the mind to stop you. Allow the emotions to flow because that is going to be your friend. Allow the tears to flow whether they are tears of happiness or sadness, pain, or tears of acceptance. This is the purity that you Are. You are in the balance and the flow. Allow the flow to be within you because you are moving towards that Solstice; the energies that are balancing you because this is going to be a pivotal time for you to fully accept your Divinity and the Light that you are. Allow this acceptance to be your guide. Allow this to be the frequency of All That Is ~ within yourself and within each other. Breathe deeply as you feel this presence that is so more exquisite than you ever have before. It is the deepness and core of your Heart coming out and allow that Lotus flower to blossom through you. As you bring forth that acceptance you start to see a change ~ the change within your Being. This is the change for you to allow the Divinity of your Light to be fully incorporated within your Mind ~within your Conscious Mind, within your Higher Conscious ~ Super Conscious. As all of these elements of the consciousness are now ready to be fully integrated within your physical body. It no longer needs to be separate as we do this with the fluidness and the waves of Light, it will remove the debris that has been holding you. So we ask each of you to also embrace your Inner Children. Allow that Inner Child to feel this fluidness as some of you may be holding to some elements that have been lost in your structure and that child is still hurting with some elements. They may not come up very often but they may be arising. Allow him or her to feel these waves of frequency and the child will react in a positive way. Embrace these elements fully within the entirety of your Being, not just your consciousness or your physical, your emotional or your mental but all aspects as you become One huge being of Light. We now ask that everyone listening in this moment receive their next level of Light Quotient with these frequencies. I am Lord Sananda at your service. 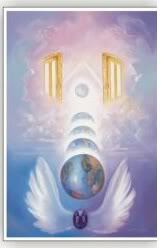 Now we open up the doorways for the Divine Mother and Divine Father God to continue with this beautiful activation. Namaste! The Cosmic Great Central Sun of the Divine Mother and Divine Father God at your service. We are in a process of fully integrating and allowing the energies to be more fully balanced than we ever have before. Congratulations of this stepping stone that each of you have commanded within yourself. 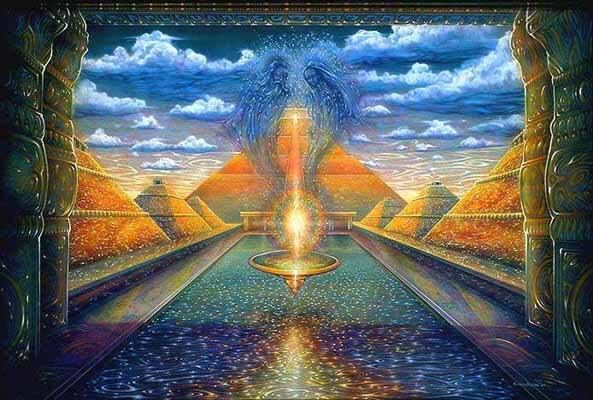 See yourself walk up a few steps onto this beautiful platform of Golden Light standing in the Golden Light as the frequency of the golden White ascension column come fully into your Being. Feel that frequency of the Light that you are. We ask tonight that each individual person listening, reading, participating fully receive this Golden White ascension energy and allow you to move to a new level of your light quotient because you are ready. Lord Sananda has prepared you for this moment in time for you to accept your Divinity in this space in a paradigm of Light in the frequency of All That Is. 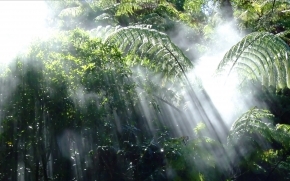 Breathe ~ It is your Divine Right to receive these energies. It is your Divine Right to accept. Allow the acceptance and feel the fluidness that Was brought through earlier of the Pink Orange Ray and allow those flames to flow through you. Now it is going to be more activated as we fully allow the Soul’s Essence to be activated within the physical body. Feel the purity of Heart that he or she imparts to you. Let it flow within you. Let it express within you. Allow yourself to fully accept the fluidness that is going around you. The mind is quiet, the emotions are free. Embrace yourself in this moment of your Divinity. Allow yourself to accept the trickles of light that are coming down through you. This is not an intense activation. It is a fluidness. So it may be going to any part of your body that needs it. Possibly within the physical and organs, the innerworkings of the physical structure. It could be in your fluid levels ~ maybe it is in your circuitry system. Possibly in the lymphatic system, in the glands, in your muscles or your joints. We command all elements of dis-ease to be removed in any form in this moment. Think about any physical problems that you may be having. Allow this fluidness to come in and feel the frequency of the Golden White ascension energies as the fluidness you become, you are that 4th dimensional body. As your Higher Self embraces this essence. It is your Divine Right to accept this physically upon this Earth and allow yourself to fully incorporate the frequencies. Breathe through that ~ breathe through that ~ feel the softness and the balance that is flowing through you. It is your Divine Right to feel your Higher Self ~ your Divine Right to feel Him or Her and allow the communication to be open. We ask for the Vibratory Communication with your Higher Self. Allow yourself to be free. Put your mental mind aside. Those of you are saying “I can’t, I can’t do it.” But you can, you can. You have the ability but you just think too much. Humans think too much in these physical bodies. So we release the Mental mind right now and just allow yourself to be in the Receiving energy of these frequencies ~ the Golden White Ascension energies. It is coming down into the purest part of your Being from your Crown through your whole chakra column, feel it blending into you through your Throat, into your Thymus, into your Heart your Solar Plexus and your Sacral, and your Root. Allow it to go down into your Earth Star. Now you bring forth these frequencies of your quotient to rise. As you do that, your body is accepting it because the fluidness of what we have brought forth previously and allowing that higher self to be fully active within you. Breathe in that energy…breathe ….breathe in that now…Now allow it to be as it has never been before. Allow this frequency to be fully flow within you. Allow yourself to fully accept your Divinity. Now we will ask Christine to play the bowl and in this moment of silence I want each of you to receive a message from your Higher Self. It is now time and if you don’t receive anything, feel the energies. Because your mental mind is getting in the way and don’t allow the mental mind to get in the way. Receive the Light ~ Receive the Light and the Frequency that is occurring in this moment. Allow yourself to accept this frequency. It is your frequency and your Soul’s Essence coming fully within your body. Allow that to be grounded all the way down to your feet. Allow that frequency to be within you. Allow yourself to accept the Divinity that You Are. Allow yourself to receive any visions to feel the Essence, to hear, to embrace. This is your moment of activation ~ Your personal activation to fully integrate your Souls’ Essence and if you have your Higher Self’s name, say it to yourself now. “I AM _______ I AM [your star name or given name]. I AM _________ and say whatever you desire. Allow yourself to receive your name. It is your special name of your frequency and it will assist you to accept. If you know it, use it. If you don’t know it, accept what you receive as it is about to come to you. In the Name of YHWH and the frequency of Light, we are the Divine Mother and the Divine Father God. We ask, we command in this moment that every person be able to receive the special name of the Star that They Are ~ in the frequency of All That Is. It will assist in receiving the frequency that is necessary at this time. You are no longer those third dimensional bodies. You are no longer the human you thought you were. You are so much more. Allow that to be embraced within you as the fluidness and the light runs through you. It allows you to expand. Breathe deeply as you receive. Breathe deeply in the receiving moment of All That You Are. Accept your divinity in this moment, in this time. Practice this if it does not work at first and eventually you will allow it to be fully activated within you. Breathe through this activation. Allow yourself to come down the Golden platform, come down the steps and allow yourself to turn around and look at the golden White Ascension flame that is where you were standing. That is You. This is your frequency. Embrace this within you in this moment and allow yourself to know you are embodied with the frequency of your Light of your Soul’s Essence and the purity that you are. Practice this and you will fully accept it within your Being. It is our honor to be here with you in this moment to assist you with this activation. Each of you are ready to fully accept it. The time is now and allow yourself to be prepared for many challenges. Some of them will be very highly activated and some that you need to release to fully accept that you are a Being of Light in these bodies and you are a Way-Shower along with being a Pioneer of the Light to assist so many upon the path. In the Name of YHWH and the Holy God of Hosts, We are One with each of You in the Divine Name We are as One.